1. A bad one can ruin your day. 2. A good one can be one of life's simple pleasures. 4. People who don't appreciate them think their price is too high. 5. You can compost what's left when you are done with them. 6. Sometimes the name, label and where they came from inspires imagination. 7. They both go great with a journal and a sunset. 8. There is a real art to creating a good one. 9. They can get black sooty goodness all over your fingers. 10. Life is too short for cheap imitations. 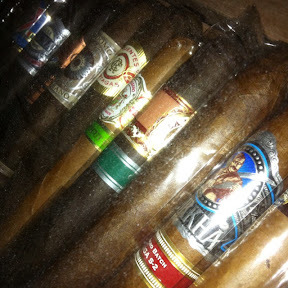 ...And, cigar boxes work great storing both of them! 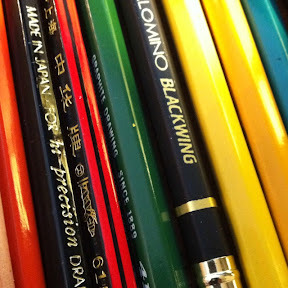 I have about 400 pencils being stored in several cigar boxes. That's gonna have to be number 11! Good call. I see the blog and it is a nice one . I like the stlye of the cigar making . 12. Neither feels good being poked in your eye. Wonderful, I was just thinking pencils and cigars have similar appeals.